Who doesn't love french fries. They're so yummy, yet, they're so easy to make. 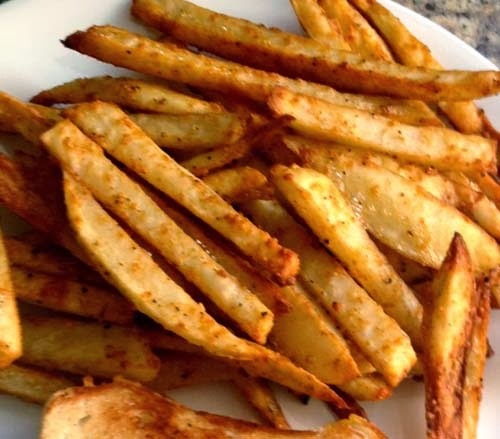 Simple potato fries can be made easily at home. At the same time, you can be creative and give them whatever seasoning or topping that pleases you. The most common type of potatoes that you can use to make fries is the Russet potato. There's really no need to look elsewhere. Just get medium to large-size Russet potatoes and slice them up into pieces. 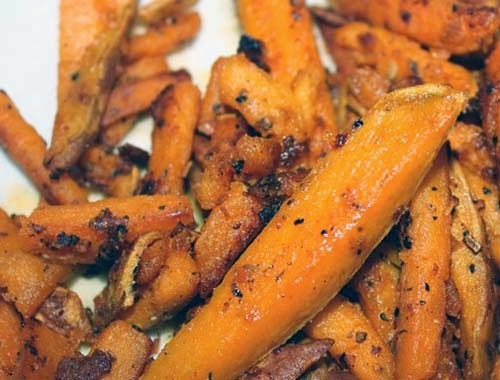 But sweet potatoes also make fantastic fries. You can slice up the fries by hand using a kitchen knife. But there are things that you could use such as a mandoline to make things easier. Baking french fries is my preferred way of cooking fries. It's less oily and presumably healthier than deep or pan fried. Just like the baked sliced potatoes, preparing fries for baking requires washing them to get rid of starch that makes the potato sticky and gooey. 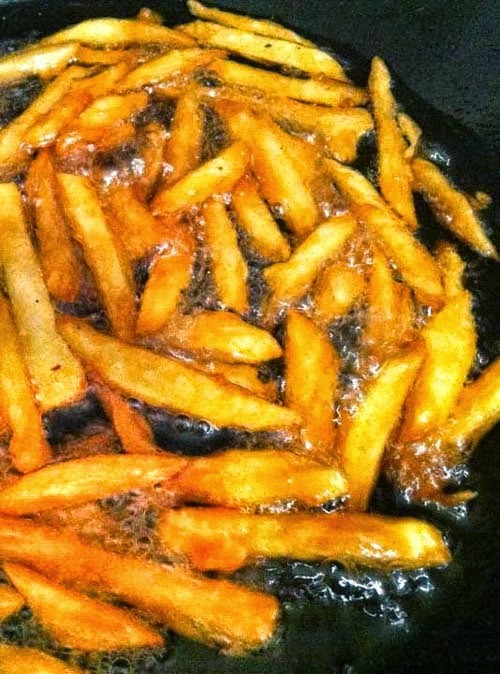 French fries can also be deep fried or fried in a pan of oil. I've cooked it that way a few times and the they come out crispier, but must be eaten right away, else they become soggy. 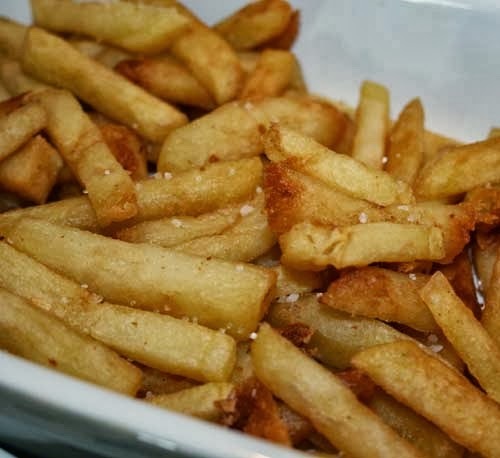 You can always use an oil-less deep fryer for fries, onion rings, etc. 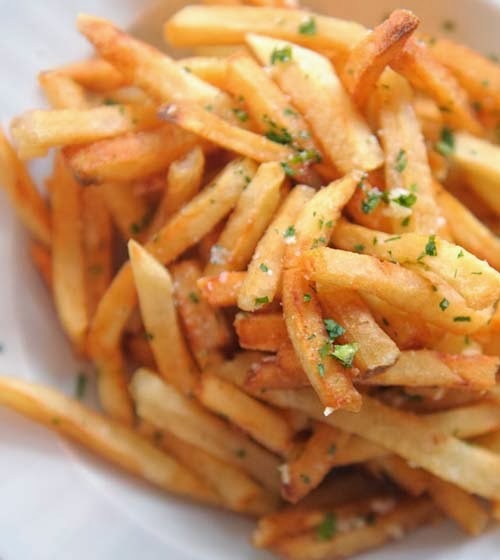 Make French fries using T-fal Actifry which only needs a tablespoon of oil to make low fat fries. 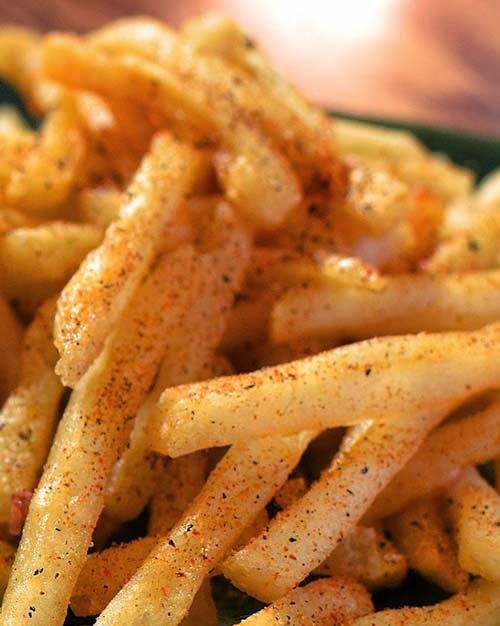 I like to eat fries with more than just salt and ketchup. Most of the time, I make garlic fries. 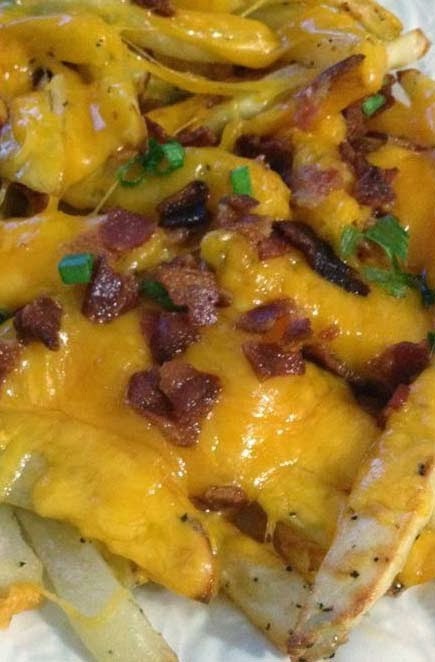 For these delicious cajun fries, see here. Aside from seasonings, it's also popular to eat and serve french fries with toppings and/or side dips. Two of the popular flavors are cheese and gravy toppings. Melted shredded cheddar cheese liberally poured over baked fries with sprinkles of bacon bits. 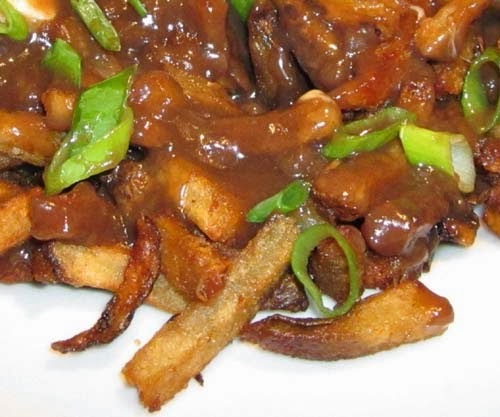 French fries topped with brown gravy and scallions is delicious. No special recipes needed. A store bought packet is all that's needed for a yummy snack.